On Friday, the CDC announced a first in its 13 years of flu monitoring: As of Jan. 6, every part of the continental U.S. showed “widespread” flu activity. Here’s what you need to know about this year’s unusually active flu season. Why is flu season so bad this year? Different strains of influenza circulate each year. This year, influenza A — specifically H3N2 — is especially prevalent, according to the CDC. In years with predominantly H3 viruses, according to the CDC, the country tends to see more serious cases of the flu, especially in young children and elderly adults, as well as decreased vaccine effectiveness, resulting in more total infections and more hospitalizations. H3 viruses were also behind the severe flu seasons in 2014-2015 and 2012-2013, according to the CDC. A separate flu strain, H1N1, has also popped up in some parts of the country, adding even more cases to the tally, the CDC reports. How widespread is the flu this year? Since flu season monitoring began on Oct. 1, roughly 60,000 samples have tested positive for influenza in either clinical or public laboratories, the CDC reports. The hospitalization rate is currently at 22.7 people per 100,000 U.S. residents. Is the flu vaccine working? The flu shot is tweaked each year in an attempt to target what are projected to be the most prevalent strains of the disease, but the process isn’t foolproof. The CDC estimates that the vaccine will be effective against roughly 30% of H3 viruses this year. That said, the CDC still recommends that you get vaccinated if you haven’t already, as there could be as many as 13 weeks of flu season still to come. Plus, the shot may protect against influenza B strains, which typically come out later in the season. You should still get a flu shot. Even if you heard the flu shot is bad this year. Even if you don't like shots. Even if you think it's too late. Even if you don't know anyone with the flu. Why are people dying from the flu this year? The especially severe H3N2 virus is likely responsible for the 20 pediatric deaths that have been reported in connection with the flu this year. But what about media reports that young, healthy adults are dying from influenza? In rare cases, a flu-weakened immune system becomes susceptible to serious bacterial infections, such as pneumonia, which can in turn lead to complications that can turn fatal. “Flu, while causing mild disease in a lot of people, can also cause severe disease and death in others,” Jernigan said during the briefing. The flu may also exacerbate existing chronic conditions, particularly among older adults, which can lead to complications and death. What should you do if you have the flu? If you have symptoms including fever, chills, cough, sore throat, runny nose, muscle or body aches, headache and fatigue, you may have the flu, according to the CDC. If you see a doctor within 48 hours of developing these symptoms, you may be able to take antiviral medications, such as Tamiflu, which may shorten the course of the illness and reduce its severity. 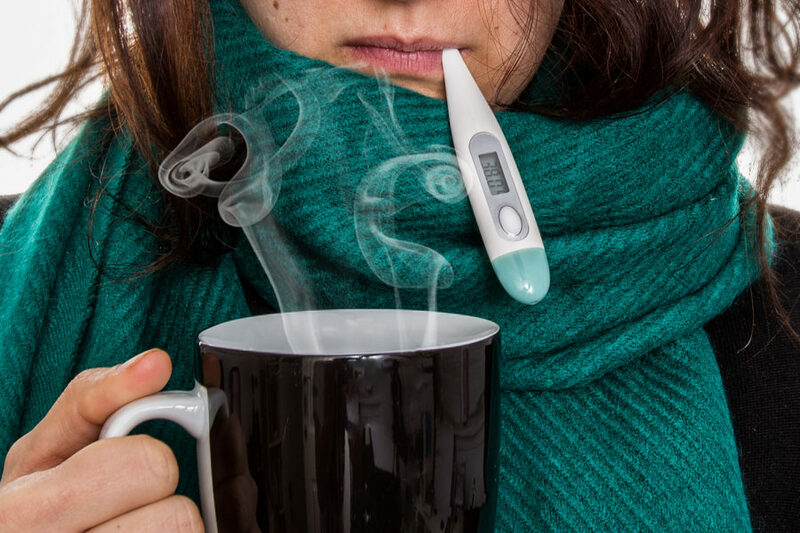 If you’re sick with the flu, the CDC recommends staying home from school or work for at least 24 hours after your fever subsides. Most people are at peak contagiousness in the three or four days after becoming sick, according to the CDC, but you may be able to infect others from a day before to seven days after developing symptoms. Getting the flu shot and staying home if you’re sick are two of the most important ways to reduce transmission. But the CDC says it’s also important to wash your hands frequently, cover your mouth when you cough or sneeze and wipe down surfaces that may have come into contact with contagion, as flu germs can live on them for up to 24 hours.